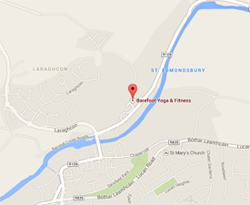 Every month we run a number of different toga workshops at Barefoot Yoga in Lucan. Workshops enable you to deepen your practice and get real and tangible benefits from a concentrated focus. Our workshops are open to all and more information is available on suitability by emailing or phoning us. A balanced gentle yoga workshop designed to relax and stretch the body while calming the mind. down. Give yourself permission to be guided to a powerful and profound state of relaxation. Enjoy some chill out time and experience the magic of Yin Yoga. In this workshop, the postures will be held for between 3-10 minutes, where your body will be fully supported by bolsters, blocks, straps and blankets to enable you to completely let go. The Yoga for Fertility Workshop is designed for women who are trying to conceive, either naturally or through assisted reproductive technology. The class environment is small, personal and supportive. No previous yoga experience is necessary.